With its energetic musicians framed in rich blue hues and a blast of bright colors behind them, the 2017 Musikfest artwork captures the spirit and intensity of the festival by focusing on the people who drive the event – the performers. 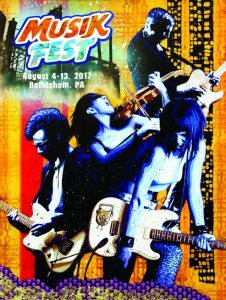 The work, celebrating Musikfest’s exciting 34th year, was created by Bethlehem-based painter and illustrator Bobby Zeik, who expertly blends street art techniques with fine art style to create pop art and abstract pieces. 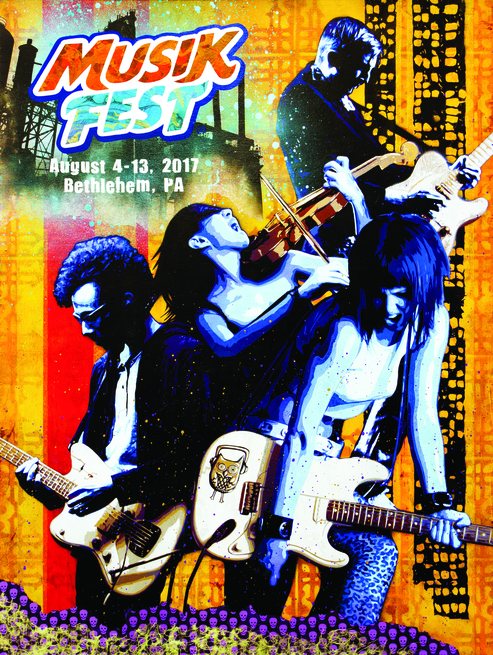 Zeik was commissioned by ArtsQuest to create the 2017 poster and conceived the design digitally. 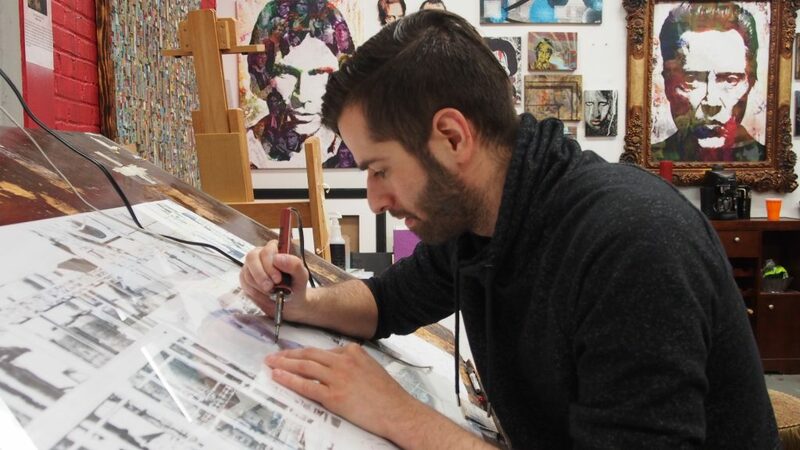 He then spent months developing a physical piece on wood using spray paint and stencils. The mixed media work was hand cut layer by layer and included various gels and pastes blended together to create textures. The image of SteelStacks in the artwork was achieved by using an acrylic skin transfer on tissue paper to create a transparent effect. “I wanted to capture the vibe of both Musikfest and Bethlehem,” Zeik says. “One thing ArtsQuest stressed is that they wanted me to ‘just do me,’ which felt easier to say than to accomplish, so it took me a while to get the design to where I was really happy with it. Zeik’s work of art will be featured on the Musikfest 2017 website, poster and official festival mug, while also being incorporated into other official `fest merchandise and apparel throughout the year. 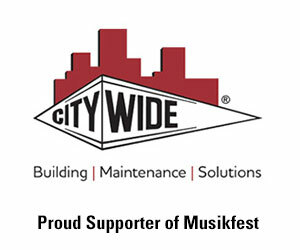 In addition to online sales at www.musikfest.org, the poster will be available for purchase at the Stacks Shop at the ArtsQuest Center, 101 Founders Way, starting March 20. 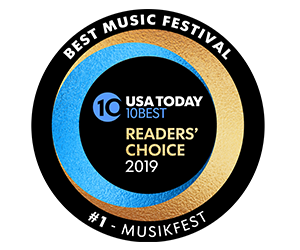 One of the largest music festivals in the nation, Musikfest features more than 500 performances on 15 stages throughout Bethlehem over 10 days. 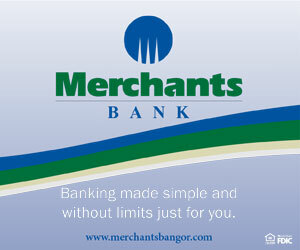 Dates for the 34th edition of the festival are Aug. 4-13. Among the 300-plus performers slated to take the stage are Santana Aug. 4, Chicago Aug. 5, Toby Keith Aug. 10, The Band Perry Aug. 11, Lee Brice and Justin Moore Aug. 12 and Ian Anderson presenting the best of Jethro Tull on Aug. 13.